Despite the depth of challenges and the complexity of problems that the President of Republic of Somaliland H.E. Muse Bihi Abdi has encountered by his ascendency of the presidency of Somaliland, ever since he came into the highest office in our country, he has shown a distinctive and strong leadership style. To distinguish is the way in which President Bihi and his government are dealing with challenging issues of today as well as for tomorrow, mainly focusing on those national and international priorities that really matters. Also series of strong and well-defined policy decisions taken by President MBA is another noteworthy pick out. Another positive leadership attribute that President MBA has manifested is his simplicity and humble personality where he is accessible to the ordinary Somaliland citizens. President MBA eagerly listens to the views of others, brainstorming and digesting ideas raised from different corners in our society and thus arriving at policy solution that benefits our country and people. Tribal Mind Set holds back every level of State Performance! As we are aware, the Tribalism Trend and Tribal Mind Set in our society are the MAIN OBSTACLES that hold back every level of State Performance. They are the root causes of dissension, mistrust and conflict among our citizens. The mind set of clan loyalty cannot absolutely coexist with the STATEHOOD CONCEPT and the WIDER SOCIETAL CONTEXT where all Somaliland citizens are considered to belong to and being part of a Democratic Constitutional State. When the citizens of the country are the main obstacle that holds back every level of a proper State functioning, how can we expect that the Government will have any power to fulfil its diverse obligations towards the public! If you look closely at the current state of affairs in Somaliland, it seems that our citizens are increasingly polarized on economic, social, political and developmental aspects in one hand. On the other hand, there are also highly organized and politically motivated groups who are at all costs prepared to exacerbate the already existing social divisions. Every minor accident that takes place somewhere in the country, these groups are deliberately blowing out all proportions just to serve their hidden agenda! I believe that constructive criticism generates binding rules and trust among the society and it is also beneficial to all Somaliland citizens. A well measured criticism towards the current government led by President MBA could have a valuable social purpose. It can contribute to defending and safeguarding of the public interest on one hand. On the other hand, any productive criticism voiced by the citizens, the current government may take them seriously and it may have hitherto the propensity to correct its mistakes. Nevertheless, the problem is when some short-sighted and insensitive groups endlessly continue with a damaging propaganda, improper and unsubstantiated accusations towards President MBA and his government, which happens at the expense of our national interest. Unfortunately this kind of behaviour not only puts Somaliland’s worldwide credibility in jeopardy but it also increases the social split and contradictions among the public and it causes irreparable damages to our country’s interests. The peace-loving and resilient people of Somaliland are fully aware of the detailed conspiracy plan of those hardliners groups (inside & outside of the country): They are ardently determined to keep looking for every possible situation available to IMPAIR, OBSTRUCT & DERAIL President MBA’s vision and nation building agenda. The President of Republic of Somaliland H. E. President Muse Bihi Abdi is a leader who faithfully knows that the people of Somaliland are ONE FAMILY UNITED IN A ONE COMMON PURPOSE on a road towards a sovereign, independent and fully recognized Republic of Somaliland. President MBA knows that the destiny of the people of Somaliland is intertwined! It is true that the majority of Somaliland electorate entrusted President MBA as the President of the Republic of Somaliland. It is natural that change is always filled with challenges as there are people who are somehow affected and would like to see continuation of status quo! In order to carry out the huge constitutional tasks upon his shoulders, I do believe that President MBA deserves to be given a chance! 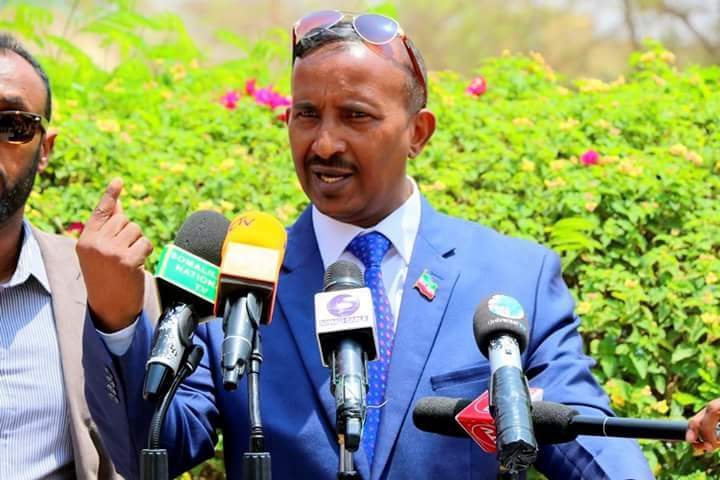 For the sake of our country’s interest, we the people of Somaliland, we have to cooperate with President Muse Bihi and his government rather than working against him!